Culture secretary Jeremy Hunt has dismissed media plurality concerns of a united media contingent to conclude Rupert Murdoch's News Corporation should be able to wholly own the UK's satellite giant BSkyB. In a widely anticipated announcement today (30 June), the Conservative MP said that after meeting representatives from those opposed to the move, including Trinity Mirror, the Guardian Media Group, the Telegraph Media Group and Associated News and Media, the Government remains "minded to accept" the deal. Hunt said: "I am aware of the huge interest in the proposed merger and am grateful to those who responded to the consultation. I have considered carefully the points raised and, as at all steps in this process, taken advice from the independent regulators. "The regulators have confirmed that the proposed undertakings are still sufficient to ensure media plurality." 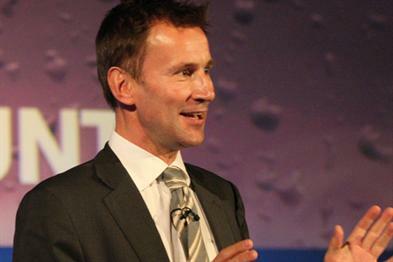 BskyB formally acknowledged Hunt's decision but dicslcosed little further information. News Corporation also acknowledged the decision adding that it "will continue to engage constructively with the regulatory process." Hunt's findings follow a consultation period launched on 3 March on the undertakings offered by News Corporation that Sky News could be ‘spun off’ as a separate company to ensure independence from BSkyB and, effectively, Murdoch. At the time, a spokesman for the rival media alliance, which also includes BT and Channel 4, called it a "complete whitewash", noting: "Smoke and mirrors will not protect media plurality in the UK from the overweening influence of News Corporation." Hunt’s statement today concludes that the consultation produced "no new information" to cause Ofcom and the OFT to change their earlier advice that the undertakings in lieu addressed Ofcom's media plurality concerns and were viable for 10 years. However, a number of suggestions were made that were believed to "further strengthen" the undertakings. As a result, Hunt has published a revised, more robust, set of undertakings for consultation. • The need for Sky News board meetings to include an independent director with senior editorial and/or journalistic expertise if decisions on editorial matters are to be made. • The appointment of a monitoring trustee whose main role is to ensure that News Corp complies with the undertakings in the run up to spin-off. • A requirement for Sky to continue to cross-promote Sky News on its channels. • A requirement for Sky News’ Articles of Association to be approved by the Secretary of State. A short consultation period on the revised undertakings will run until midday next Friday (8 July).